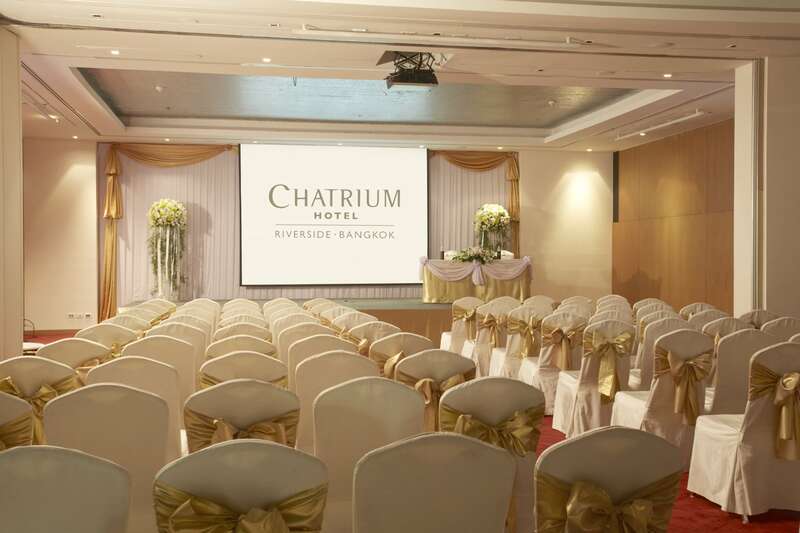 Configure Chatrium Hotel Riverside Bangkok’s rooms to meet the requirements of your meeting. 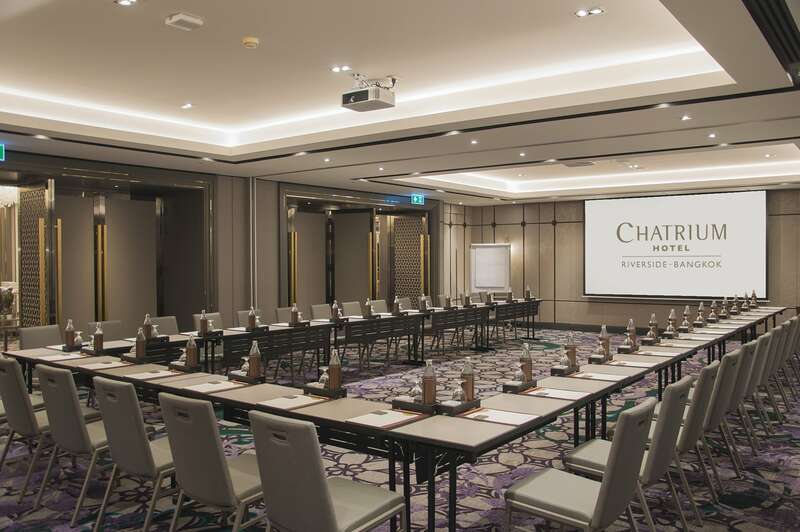 At Chatrium Hotel Riverside Bangkok, any meeting becomes possible with a wide variety of rooms available. 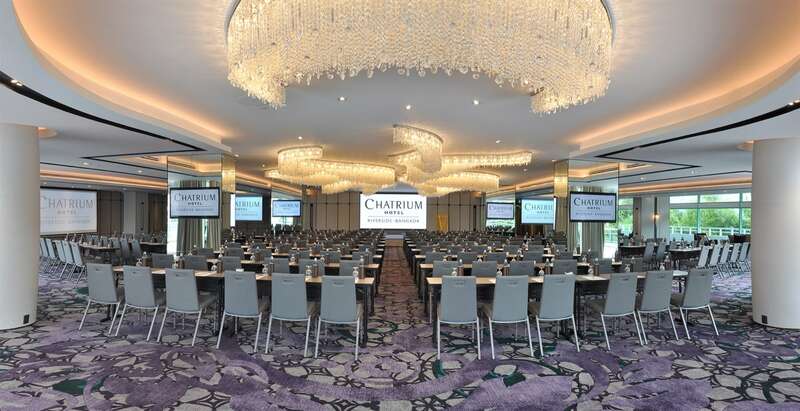 The classic Chatrium Ballroom, a traditionally go-to choice of many guests, has an expansive 630 square meters of space for any type of event you desire and can be easily arranged with an almost unlimited range of room configurations for up to 700 people. The addition of the latest facilities will also ensure your event is one which stands out from the crowd with the latest high-tech sound system, a 4 x 2.25 meter LED screen and three full HD projectors, four 55-inch TV screens with HDMI connectivity and a “follow lighting” system. Other rooms can host small to medium sized gatherings. The River Room, at 270 square meters, is just as luxurious and flexible. 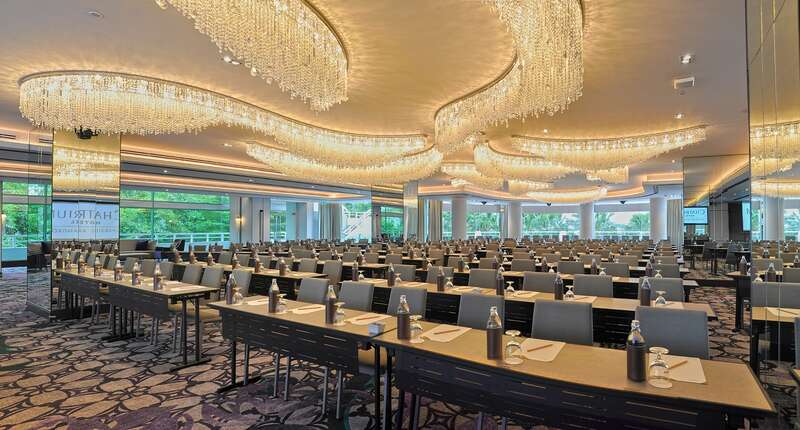 Its size allows it to become a Boardroom for 40 persons, in a U-Shape for 60, as a Classroom or a Buffet for 90 persons, a Theatre for 200, a Cocktail gathering for the mingling of 300 persons, or as a Chinese Banquet for 180 persons. All this is backed by a new high-tech sound system, full HD support for 5 big motorized screen projectors – sized at 130 inches, 150 inches and 200 inches – and new chandelier lighting. All that there is to offer at Chatrium ensure your event is one which stands out from the crowd. They are complemented by a choice of customized coffee breaks and delectable international or Thai dining courtesy of Executive Chef Spencer Kells and his team of expert chefs.